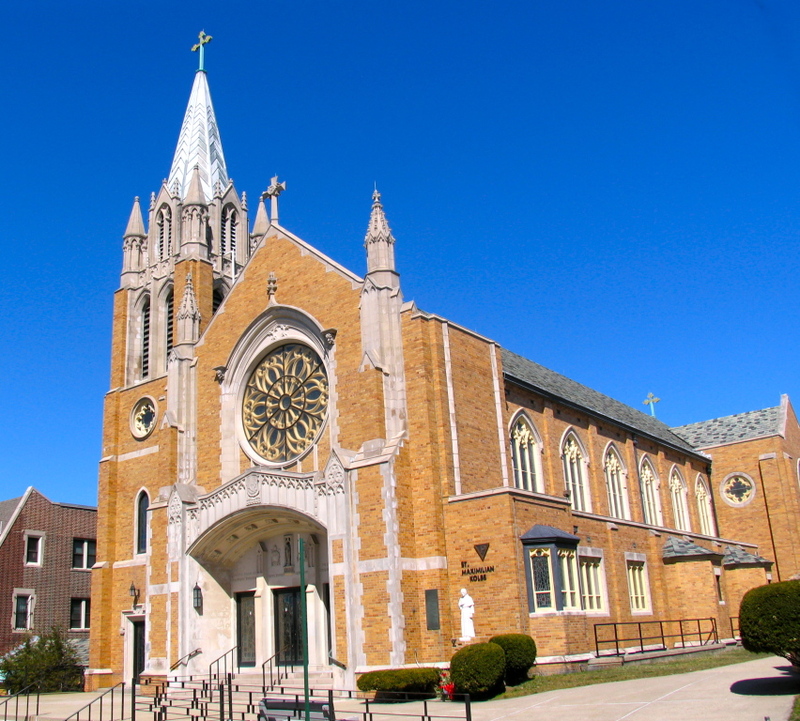 St. Adalbert’s Parish is the oldest Polish parish in Queens, New York. Its history dates back to December of 1891, when Father Jozef Fyda, at the suggestion of Bishop John Loughlin – the Bishop of the Diocese of Brooklyn – made preparations for the creation of a new parish. 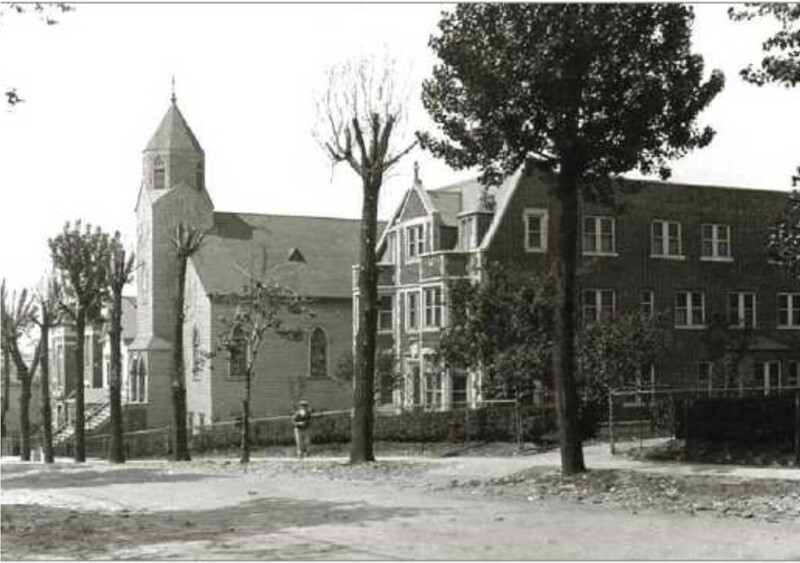 On March 1, 1892, the Society of St. Adalbert was formed with Father Fyda as its chaplain. The Society counted fifty members. A decision was made to form a new Polish parish called “St. Adalbert’s – Bishop and Martyr.” A seminal meeting was held in St. Mary’s Parish in Winfield (today’s Woodside, Queens), NY. 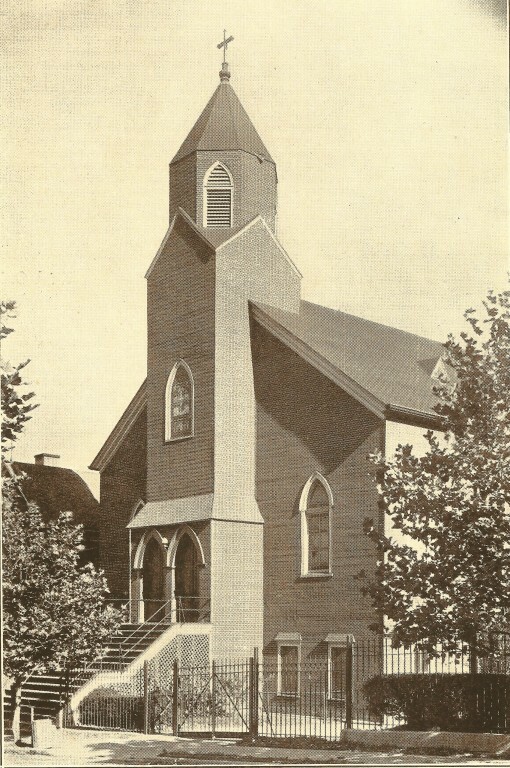 Father Fyda handled all of the formalities associated with the creation of this new parish and would become the parish’s first Pastor when it was formally created in March of 1892. With the assistance and generosity of the parishioners, Father Fyda raised the necessary funds to purchase the land on which the church would be built from Mrs. Julianne Berheimer in Newtown, NY (today’s Elmhurst, Queens). After eight months of construction, a small wooden church and rectory were erected. On November 13, 1892, the new Bishop of the Diocese of Brooklyn, Bishop Charles McDonnell, blessed the new church. Initially the parish counted only thirty-five Polish families. That figure rose drastically as more Poles learned about a new church in the neighborhood that offered them the opportunity to pray in their native tongue. They came from near and afar: from Maspeth, Flushing, Bayside, Blissville, Winfield, Jamaica, Floral Park, Hempstead, Mineola, and other neighborhoods. As church membership grew, there was a need to create a parochial school where children could be educated in their Catholic faith and Polish culture. An elementary school was created on November 18, 1892. Initially the school offered a four grade level program. It was not until 1914, that an eight grade level program was offered. At first, classes were held in the church’s basement. Mr. Trynicki was the first educator to teach at the school. As the student body increased, Mr. Trynicki found himself overwhelmed by the sheer volume of work. In 1896, the Sisters of the Holy Family of Nazareth joined the parish and undertook teaching at the school which they continue to do to this very day. In 1921, an official school building was constructed. In 1925, a new rectory was also built. 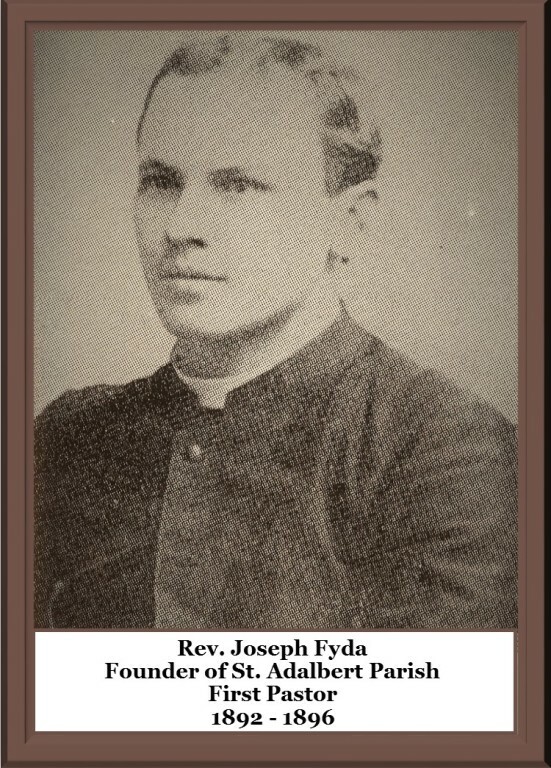 In 1896, Father Fyda resigned as Pastor. He was succeeded by Father Boleslaw Puchalski. Later that same year, Bishop McDonnell entrusted the parish to the Order of Franciscan Friars Minor Conventual, commonly known as the Conventual Franciscans. Father Feliks Baran became the parish’s first Franciscan Pastor. He served in that role from 1896-1906. In 1947, under the auspices of Father Jerzy Roskwitalski (Pastor of St. Adalbert’s from 1937-1957), a decision was made to construct a masonry church. The chief architect was Anthony DePace. On July 3, 1949, Bishop Thomas Molloy of the Diocese of Brooklyn, blessed the new church. The current Pastor, Father Miroslaw Podymniak, was installed as St. Adalbert’s twenty-second Pastor on March 1, 2015. On April 24, 2016, Bishop Witold Mroziewski, the auxiliary bishop of the Diocese of Brooklyn, celebrated the beginning of the Jubilee Year of St. Adalbert’s 125th Anniversary. The Jubilee Mass on Sunday, April 23, 2017, was celebrated by the Most Rev. Nicholas DiMarzio, the Bishop of Brooklyn, followed by a Gala at the Royal Elite Palace in Woodside. St. Adalbert’s Parish in Elmhurst is the oldest Polish parish in Queens and the fourth oldest Polish parish in New York. The older Polish parishes include: St. Stanislaus Bishop & Martyr Church in Manhattan (1872); St. Casimir Parish in Brooklyn (1874) (merged with Our Lady of Czestochowa Parish); St. Valentine Parish in the Bronx (1890). By: Father Stanislaw Czerwonka OFMConv; Citations: D. Piatkowska, Polish Churches in New York, “St. Adalbert’s Parish and Church” Chapter, pgs. 429-48.